Extremely creamy and delicious mayonnaise in just 5 minutes! So much healthier and tastier than any commercial brand and without all the nasties, stabilisers and preservatives. With only 1g net Carbs per 100g what are you waiting for? 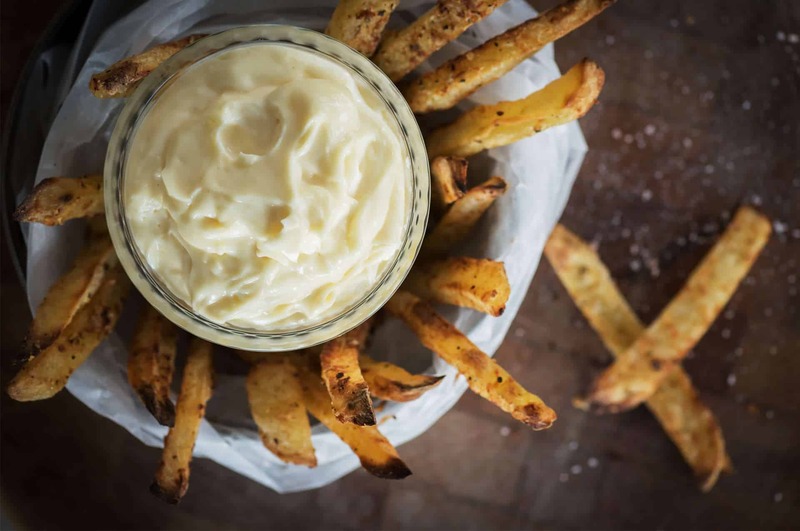 Whip up super delicious Mayonnaise in less than 5 minutes! Bullet-Proof your Mayonnaise for perfect results every time! Extremely Creamy Mayonnaise with less than 1g Total Carbs per 100g. Made with Ultra Pure MCT Oil it's absolutely delicious and so simple to make. It takes just 5 minutes to whip up perfect results every time. Serve with Parmesan Sweet Potato chips for the perfect indulgence without the guilt! Scrape Mayonnaise into an air-tight jar and store in the refrigerator.